Coughs can frequently be caused by colds and flu. However, a simple cough is even more common than a cold. About half of the people who seek medical treatment in winter months suffer from an inflammation of the respiratory tract that is accompanied by cough and other related symptoms. No matter what the cause, coughing is much the same. Coughs which are productive bring up mucous, while non-productive coughs are dry or hacking and do not bring up mucous. A cough that will not go away is a signal that the body has something going on. The message could be as simple as "do not smoke" or "you have a sinus infection that needs to be taken care of." So - when treating a cough, try to evaluate what the body is saying about its condition as well. If home remedies for a cough do not help and the cough continues to persist for several days, consult a health care professional. People frequently confuse a cold with the flu. Flu is characterized by a swift and severe onset of the illness and the symptoms include high temperature, chills, fatigue, sore throat and a hacking cough. A cold has a slow onset and is not always accompanied by a fever. The symptoms can be localized in the upper respiratory tract and include stuffiness, hoarseness, runny nose, watery eyes, listlessness, mild fatigue and some chest discomfort, along with a sore or burning throat. Even though colds and flus are contagious, some people are more prone to catching these illnesses than others. Those individuals who have weak immune systems seem to come down with every new bug that goes around and then stay ill longer. 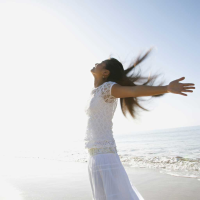 People with a strong immune system usually remain healthy. Recent research shows there may be a psychological side as well. People who experience higher levels of tension, anger and frustration are four times as likely to develop colds as those who are more laid back and easygoing. Diet - Those people who get lots of colds during the winter should cut down on acidic foods and consume more fruits and vegetables. Such foods are high in antioxidants, giving the body what it needs to fight off colds on its own. Once a cold is present in the body, it is a good idea to cut down on gluten, dairy foods, meats, sugar and refined carbohydrates. Eat more plant foods high in antioxidants, chlorophyll and phytochemicals. Juices are particularly well-advised for colds. Astragalus - Chinese people have been using this for thousands of years as an immune system booster. This herb can reduce the frequency and duration of colds and flus by boosting the immune system rather than by killing the viruses directly. Astragalus can be taken as an extract or the root can be used in soups. Echinacea - When this herb is taken at the first sign of a flu or cold, it is not unusual for the symptoms to be gone in the morning. This is an extract of the purple coneflower and was appreciated and well used by Native Americans and early doctors in America before the widespread use of drugs. This product should not be used for more than four days at a time. Goldenseal - This herb has powerful antiseptic properties, which allow it to destroy a number of microorganisms, including parasites, bacteria, and viruses. Goldenseal also has a soothing effect on mucous linings and is thus good for sore throats. 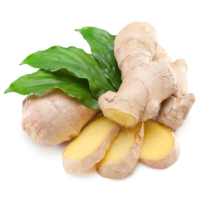 Ginger - This herb is an excellent bronchial decongestant. When used as an expectorant, it helps to clear out mucous from the bronchi. Unlike some of the other herbs, ginger can be used every day. Ginger can be grated and used as a tea, taken in powder form, or consumed as a liquid extract. Slippery elm - This product can be used to soothe a scratchy, tired or sore throat or used to alleviate a dry cough. Slippery elm can be taken as a tea, tincture or lozenge. For making the tea, pour a pint of boiled water over one ounce of powdered slippery elm bark, stir and simmer for 15 minutes. Green tea - Green tea is known to have cleansing properties and can be consumed throughout the day for coughs due to colds or influenza. Vitamin C - If a person finds themselves craving grapefruits or oranges during an illness, it could be the body demanding more vitamin C. This nutrient helps to strengthen the immune system and accelerates its ability to combat harmful substances. Bioflavanoids - These compounds are water-soluble substances that enhance vitamin C's protection of cells against viral and bacterial invasions. That is why vitamin C and bioflavanoids are always found together in nature. Good sources are grapes, rose hips, oranges, prunes, lemon juice, cherries, plums, cabbage, apricots, peppers, papaya, cantaloupe, tomatoes, broccoli and blackberries. Rest - An important natural remedy for colds and flus and their various symptoms (such as coughs) is, quite simply, rest. Common sense dictates that the body cannot go full throttle while it is ill.